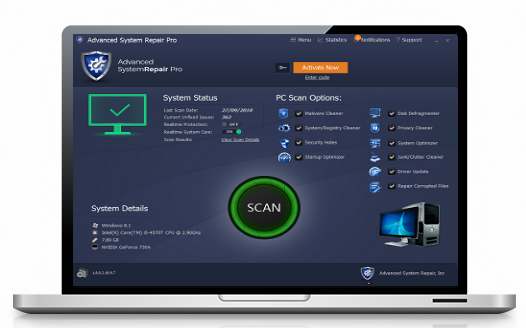 Our multi-scan feature will intelligently scan and analyze your computer in minutes and give you complete thorough organized, detailed results. Start with a free scan from Advanced System Repair. 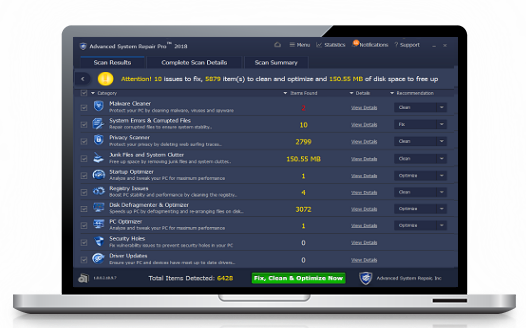 You'll immediately find out the root issues affecting your machine's performance. Over time, as you install and uninstall applications, the registry can become cluttered with old entries and broken settings which can result in program crashes, annoying messages and slow the computer down. Our test is proof we know what we are doing! At Advanced System Repair, we believe computers are meant to speed things up, not slow things down, so you can work smarter and faster. See our test results below.